Recipe is at the end. Sifting Through Life segments are about my life. The topic changes weekly and they don't always include food or recipes. It is a segment that allows me to talk honestly and openly. All opinions are my own and are just that, my opinions. This is my voice talking about my life. ENJOY! I get asked a lot, why we left "the church". This is a subject that I have not written about. It was a painful process and a decision that was not made lightly. I spent 23 years of my life dedicated to the church. I served when asked and we gave where it was needed. I don't like talking about religion on an open forum such as this. So why am I opening myself up? Because I need to so that I can move on. It just seems to be a story that keeps reappearing in my consciousness every time I sit down to write a post. I will only write two post about this topic. This one and the next Sifting Through Life. I see events in my life all lined up in a row. Each with a brightly colored door. To help me process these events I have been reading a few books on how I can open these doors from my past and process the emotion and information. Two books that I enjoyed reading are The Untethered Soul by Michael Singer and the second book is, Bird by Bird by Anne Lamott. The books discuss ways of dealing with and sharing stories. We all have stories to tell from our past and present. We can't control how others will react or feel when some stories are told. It is for this reason I haven't talked about this experience in my life. Writing about a variety of experiences has helped me process the emotional attachments behind the events . I am learning that once an event is past we still hold on to the emotion, good or bad. Writing allows me to share with others, with the hope, that I have learned something along the way that can be passed on to someone else. I guess I feel that someone out there might need to hear this experience. Today I want to share the journey that I took when I turned 18 years old and decided to find "something" that would help me. Help me do what? I am not sure other than I recognized in myself that a change needed to be made. I felt a movement taking place with in my mind and soul, almost against my will, pushing me towards an unsuspecting path of courage. I wasn't sure what I was looking for but in the end I found a church. I was searching and desiring for a place to feel welcomed, loved and safe. I wanted to find a group of like minded people, where together, we could change the world (remember I was 18--we all want to change the world at that age). I wanted to change me. A place to fit in. I was eager to learn from others and teach anyone who would listen. The summer of 1986, I graduated from high school. My relationship with my father was broken. Not because he did not love me, or vice versa, but simply because life is complicated when you have parents that are divorced. Grown-up things happen that affect the kids and this was our situation. My sisters and I were the product of a messy divorce. When I turned 18, I decided for myself, that I would take the opportunity to go and stay with my Dad for two months. It was scary approaching my Mom about this subject. I did not want her to feel in any way that I was betraying her-- but, I felt that I needed to do this. I needed to see if I was anything like my Dad. Did we laugh the same? Did we like the same foods? I needed to feel like I belonged. I was seeking for anything that made me feel like I had a place that was solid footing in a past that was full of turmoil and pain. The summer I graduated from high school I planned nothing. I kept my calendar open just in case. In case of what? Maybe a trip. It made the decision to visit my dad an easy one. I had the time to go to Las Vegas, NV and get to know my Dad. I was seeking a connection to someone I could relate to. To make a long story short, I met my step-brother while in Las Vegas. He came to relax and enjoy the pool. It was nice having a friend to talk to. Through the next month we talked religion and studied a lot of text. We had a ton of questions and together we were able to work out the answers. He returned to Salt Lake City with a goal in mind. We kept in touch and I learned that he had made the decision to be baptized in the church. I found myself returning home full of hope and excitement. I looked up a friend who I knew was a member of this church. She helped me to meet with the missionaries and I was baptized. It all happened so fast. The first day I went to church was the day after I was baptized. I felt like a new person. I was told all of my sins were forgiven. I was happy with my decision to join the church. I was embraced with a church family that made me feel loved and secure. 18 years later I found myself having a thought, a feeling, a look into my future. This thought happened during a time when I was completely happy. I could not have asked for anymore joy in my life. We lived on a farm, we had our two healthy kids, a husband with a great job, and for the first time in years, I lived by my family and we were getting along. "Someday you will leave the church? ", this was the thought that I tried to push from my mind. 5 years later--I did leave. Let me think about how to put my thoughts into printed words and I will get back to you on this question. It is a story full of emotion. I will try to answer some of the most asked questions that I get from our friends and family. It's not a simple response with one answer. There has been a lot of speculation, some of it true and some of it is not, but I will clear the air next time I post a Sifting Through Life piece. It is time to get this door open, rummaged through, and forgotten; so I can throw the key away forever. 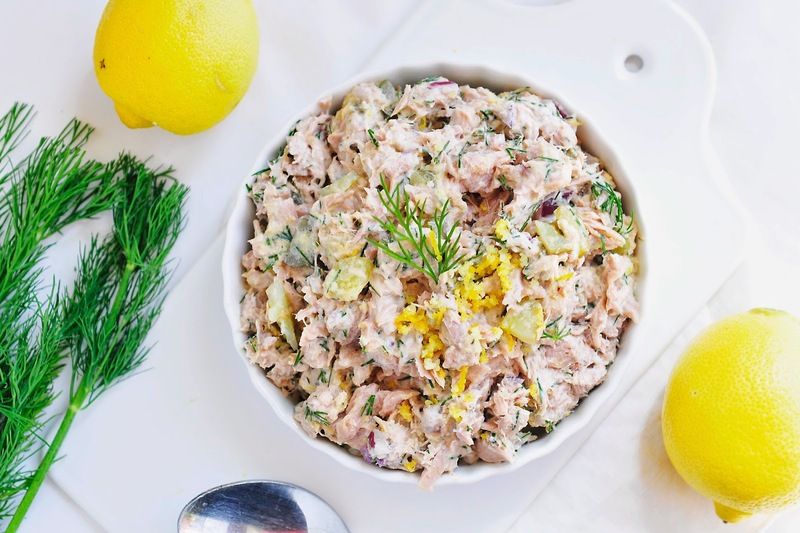 Tuna salad is a dish that can be made with two ingredients: tuna and mayonnaise. Or, it can be dressed up, like this one. 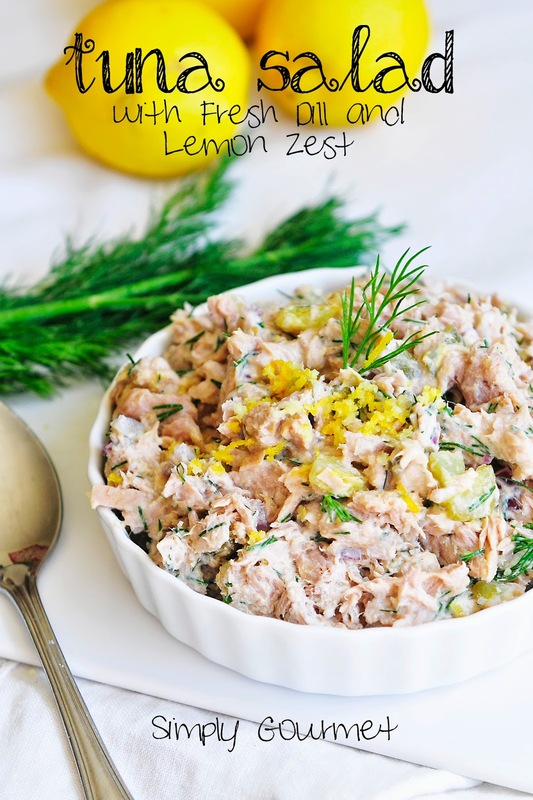 The fresh dill and lemon zest add flavor, color and texture to a simple dish with a gourmet feel. NOTE: Use as much or as little of the dill. 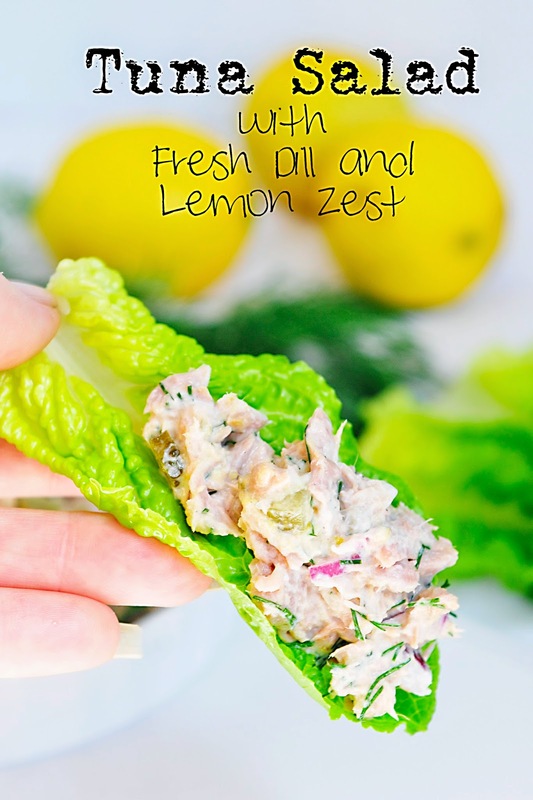 The pictured tuna salad was made with greek yogurt but I also have made it with mayonnaise. Again, use as much or as little as you want. 2. Serve as a sandwich or with lettuce leaves (pictured) or crackers. 3. Refrigerate all leftovers for up to 5 days. Looking forward to the follow up post to this :) Thank you for sharing! I need a girls day with you.